Casa Tranquila is one of 2 beautiful homes in a gated community ( the other is # 780305). Quiet, safe and surrounded by greenery, with fantastic views of the lake, volcanoes and Panajachel area makes it a perfect place for you and your family or group to stay at. The home is just 3 blocks from the main street of Calle Santander and a short walk to the public beach area. Casa Tranquila has 3 bedrooms and 3 private bathrooms, one with a jacuzzi. There is also a roof top terrrace which is a great place to relax, do yoga or work using the very fast internet connection. We have private parking for up to 4 cars and a gardener who maintains a lush flower and fruit filled garden. 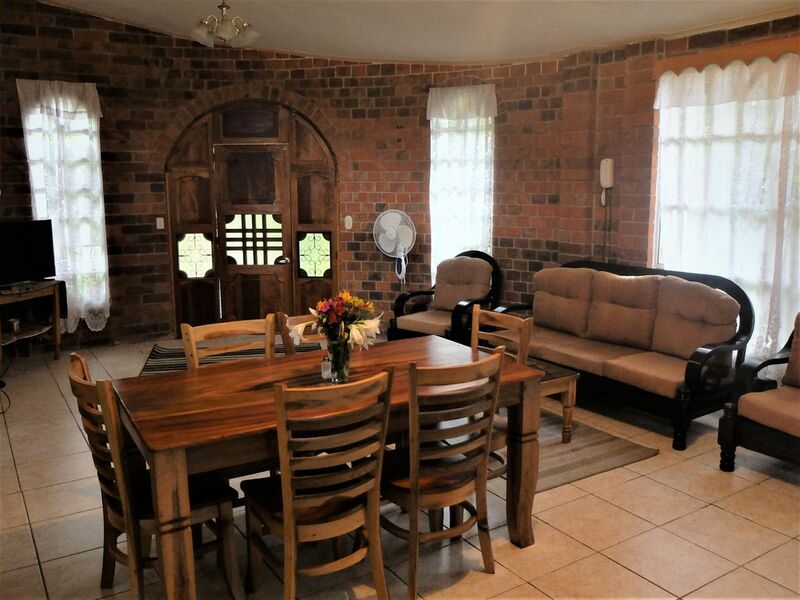 The house has new beds, a fully equipped kitchen, fans in all rooms, powerful gas showers, a 42 " smart TV and comes with a local smart phone for your use while visiting. The owners manage 4 homes in Panajachel and are able to give a great, personalized service for a memorable and very comfortable stay. We offer a fantastic very affordable private cook and baby sitting services at an extra charge if required. We can also arrange private transport for you from the airport and to other destinations. a trampoline for children. There was no hot tub, but there is a Jacuzzi in the main bathroom. Juana shopped and cooked for us, which was a lovely treat. We recommend Matt's place.